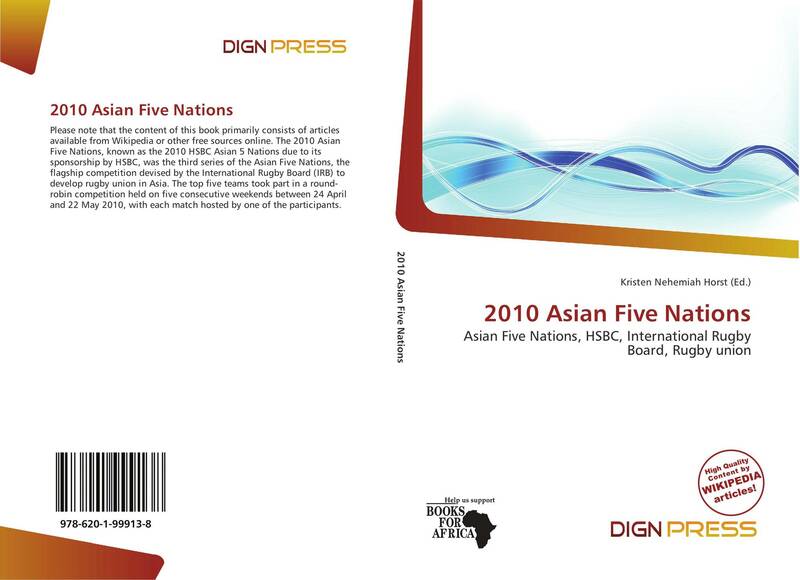 Asian Five Nations 2010 was the third edition of the annual rugby union tournament Asian Five Nations. On five weekends between 24 April and 22 May ten games were held. Japan defended with the maximum number of last year's title, South Korea rose with four defeats in the first division from. This season, not only the winner of the A5N was determined, but also the Asian participants in the Rugby World Cup 2011. The Japanese team qualified automatically for participation in the World Cup, the Kazakh team for the playoffs the Barrage Round. * The match against Japan Kazakhstan was moved from Almaty to Tokyo.